I’m sitting here trying to figure out how to describe a kugel to my non-Jewish readers. I know I am not the only one. I guess Kugel is one of those quintessential Jewish foods that have slowly seeped into the non-Jewish culinary world, but not nearly enough. A kugel is generally a side dish of sorts. It can be sweet or savory, and served with almost any meal. In some observant Jewish houses, (such as mine!) it doesn’t feel like Shabbos (Sabbath) without potato kugel (a casserole of sorts, featuring finely ground potatoes). In many cases, especially for a holiday like Rosh Hashanah, where the tradition is to eat sweet foods, a sweet kugel is a great accompaniment to a meal. For my Jewish readers, I am sure you’ve had noodle kugel before. Try this one, however. It’s definitely sweet (almost dessert-like) but the lemon cuts into the sweetness nicely. It’s a refreshing difference from your usual noodle kugel. If you aren’t Jewish, don’t worry- you can make this delightful dish too! Adapted from Dining In, a great cookbook for all things Kosher- and lots of non-traditional recipes too! In the bowl of an electric mixer, or in a mixing bowl with a whisk, beat eggs lightly. Add sugar, vanilla, oil and lemon. Beat until thoroughly mixed. Add noodles and stir to combine. a) Pour entire mixture into 9×13 inch baking pan. Bake at 350 for 1 hour. b) Divide mixture in half and pour into 2 9-inch round pans. Bake 50 minutes to an hour. c) Spoon mixture into greased muffin pans. (Make sure to distribute the liquid evenly.) Bake 22-27 minutes. I think it is wonderful that you chose to bake these in the muffin tins. Perfect for individual servings and they look just beautiful. Hard for anyone to resist this side dish. I’ve never had noodle kugel before, but everytime I see a post about it, I want to give a try. I guess haven’t because I could never figure out if it was a side dish or dessert. If it’s a side dish, what do you serve as a main dish to cut the sweetness? Hi Mrsblocko, thanks for stopping by! That’s a very good question. We often eat it on sabbath day with a traditional bean and meat stew called Cholent. Really though, you can serve it with any non-sweet main dish. Try it though- its absolutely delicious! Hi, thanks so much for posting these recipes. Menu planning definitely got a whole lot easier! 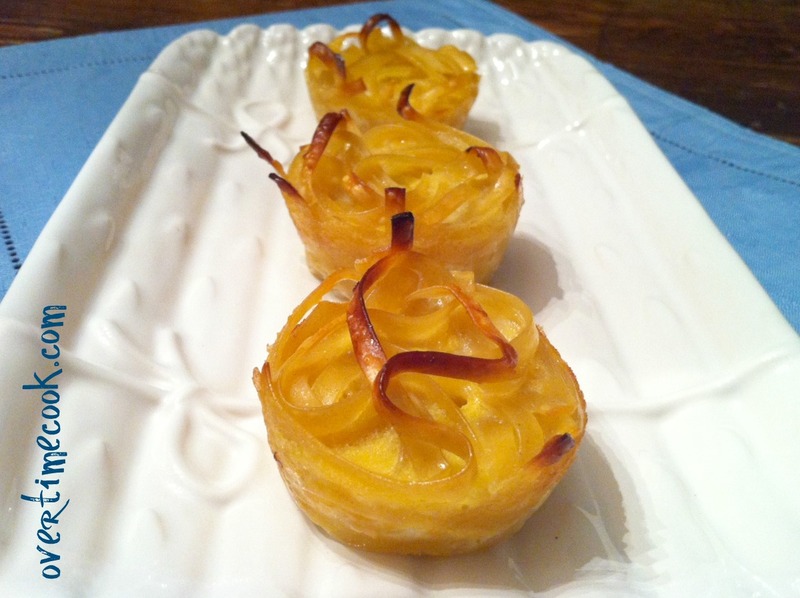 I was wondering if I can make this kugel using bottled lemon juice instead of the lemon/ zest, and how much of it to use. Thanks again. Lemon zest gives things a much stronger flavor than the juice. If you want to skip it, you might consider some lemon extract in its place. Just to be clear, nothing really replaces the zest. Can I make this with regular fettucini?